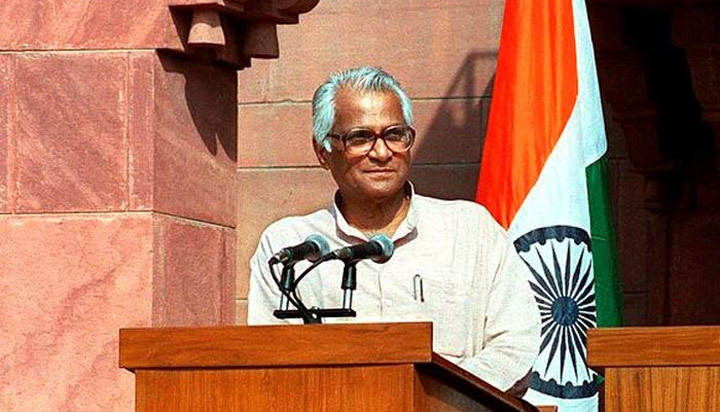 Former Union Defence Minister George Fernandes passed away in New Delhi on January 29 after prolonged illness. He was suffering from Alzheimer's. His situation reportedly deteriorated with a bout of swine flu recently. He was 88. Prime Minister Narendra Modi led the nation in paying tributes to the veteran socialist leader. "George Sahab represented the best of India's political leadership. Frank and fearless, forthright and farsighted, he made a valuable contribution to our country. He was among the most effective voices for the rights of the poor and marginalised. Saddened by his passing away," the Prime Minister Tweeted, describing Fernandes as a "visionary Railway Minister and a great Defence Minister who made India safe and strong". George Sahab represented the best of India’s political leadership. Frank and fearless, forthright and farsighted, he made a valuable contribution to our country. He was among the most effective voices for the rights of the poor and marginalised. Saddened by his passing away. Fernandes' very eventful tenures as Defence Minister was marked by India's nuclear detonations at Pokhran in 1998, the Kargil War with Pakistan in 1999, the near war with Pakistan following the terrorist attack on the Indian Parliament in 2001, the hijacking of an Indian Airlines aircraft from Kathmandu to Kandahar in 1999, and the deployment of the Army to quell the communal riots in Gujarat in 2002. When we think of Mr. George Fernandes, we remember most notably the fiery trade union leader who fought for justice, the leader who could humble the mightiest of politicians at the hustings, a visionary Railway Minister and a great Defence Minister who made India safe and strong. He was also known as the man who threw out Coca Cola from India during his tenure as Union Industry Minister in the Janata Party Governments led by Morarji Desai and Charan Singh from 1977 to 1980. Subsequently, he was Railways Minister and Minister for Kashmir Affairs from 1989 to 1991 during the Janata Dal Governments of VP Singh and Chandrashekhar. Starting his political career as a trade union leader, Fernandes played a pivotal role in opposing the Emergency declared by Prime Minister Indira Gandhi in 1975. He was jailed in the Baroda dynamite case. Prime Minister Vajpayee's key trouble shooter, Fernandes resigned as Defence Minister in 2001 following the expose by the website Tehelka on alleged corruption in arms deals. Investigative reporters of the website posing as arms dealers conducted a sting operation codenamed Westend to establish payoffs to the then BJP president Bangaru Laxman and a few Army officers. 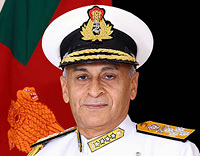 Fernandes was reinstated by Vajpayee as Defence Minister nine months after his resignation. During his long years in public life, George Sahab never deviated from his political ideology. He resisted the Emergency tooth and nail. His simplicity and humility were noteworthy. My thoughts are with his family, friends and lakhs of people grieving. May his soul rest in peace. Fernandes' tenure as Defence Minister also witnessed a massive jump in budgetary allocations for Defence after the Kargil War. 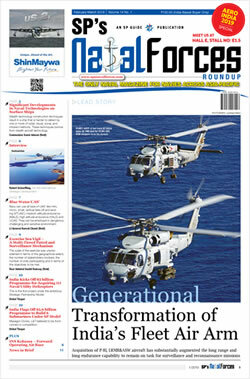 He endeared himself to the military community with his outreach which was characterised by timely provision of critically-needed equipment and his frequent visits to military posts along India's distant frontiers, particularly Siachen, which he visited every three months to coincide with the turnover of troops deployed at the world's highest battlefield. He personally identified with the hardship faced by the Indian soldier, and famously packed off to Siachen a bureaucrat who stopped the purchase of snow scooters for troops at the glacier battlefield, so that he could be acquainted firsthand with the hostile conditions in which the troops operated. Fernandes also famously flew in the MiG-21 fighter aircraft after a series of crashes to demonstrate that the ageing aircraft was airworthy. Another highlight of his tenure was the sacking of Navy Chief Admiral Vishnu Bhagwat for defiance of the political leadership. Military acquisitions which were put on fast track under Fernandes' ministership during the Kargil War courted political controversy after an audit report by the Comptroller & Auditor General pointed out irregularities in some purchases, including those of aluminium caskets for transporting the remains of martyred soldiers. These procurements were probed by the Central Bureau of Investigation during the 10-year rule of the Manmohan Singh Government. But no evidence of illegality was found in any of the two-dozen odd cases in which investigations were mounted, and all cases were dropped. Fernandes gradually withdrew from public life after the onset of Alzheimer's. His last stint in Parliament was a member of the Rajya Sabha in 2009-10. An unrelenting critic of the Congress, he was a key member both of the Janata Party and the Janata Dal, which formed Governments at the Centre in 1977 and 1989. He later founded the Samata Party, which splintered from the Janata Dal in the early 1990s. The Samata Party later merged with the Janata Dal (United), which was subsequently helmed by Bihar Chief Minister Nitish Kumar, a Fernandes protege. "During his long years in public life, George Sahab never deviated from his political ideology. He resisted the Emergency tooth and nail. His simplicity and humility were noteworthy," Prime Minister Modi observed in a series of condolence Tweets. Congress president Rahul Gandhi also took to Twitter to condole Fernandes' passing away.